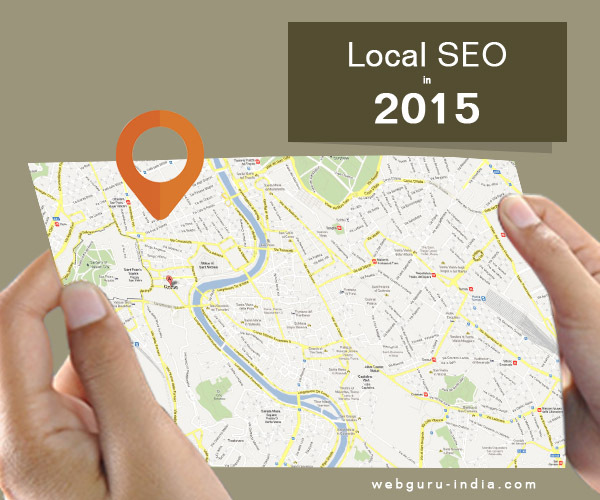 Local SEO provides results to a user based on the current location of the searcher. Building links form an important part of an SEO strategy and is applicable to local businesses. A campaign aimed to build good local links will certainly deploy an entirely diversified strategy with focus on the building of quality backlinks. With Google changing its algorithms end number of times, let’s take this opportunity to look back and analyze how Local SEO changed in 2014 and what to expect in 2015. The last year witnessed many changes and updates made by Google that had a huge impact on the local SEO. The year witnessed the removal of the Authorship, updates like Panda, etc. With respect to local Search Engine Optimization, 2014 experienced notable changes in Carousel, a significant Pigeon update as well as the launch of the tool suite named Google My Business. The birth of this tool suite took place in June 2014 with the aim of helping business owners. The tool is actually a modified version of Google+ Local (2012) which in turn is the next version of Google Plus, introduced way back in 2011. The tool intends to offer business owners an ultimate destination to go ahead with their business ventures through updating the business information, reading reviews, adding photos and using Google+ all in one single dashboard. It was in June 2014 that the free service of Google+ Local (2012) was renamed to Google My Business. In July 2014, Google released the Pigeon update that hugely influenced the Local Search Engine Optimization community. It has been termed as the ‘biggest Google update’ so far with respect to the local search post the 2012 Venice update. This update led to favoring of the directories in the respective search results above the local businesses. Several industries were hit hard by the major update. Google Places results saw a decline of about 68% in jobs, 36% in movies, 63% in real estate sector and 11% with respect to the Insurance industry. However, it was not completely dark everywhere as there was 19% growth in the food sector, 13% growth in education and 28% growth in the hospitality sector with respect to the Google Places results. Other sectors that benefitted with this update were medical, spa, law, shops, fitness and transportation. Besides these, Pigeon also changed the significance of the ranking factors. Taking into account all the changes made by the Pigeon update, one should never ignore the main areas of the local SEO namely; links, websites, reviews and citations. The Carousel feature was introduced by Google in 2013 exclusively for desktop searches. It included horizontal listings that are interactive and includes images one can scroll through while searching an item. However, Google, in summer 2014, decided to do away with Carousel and intended on having a format that has close resemblance to mobile search formats. With this decision of Google, volume of traffic and organic ranking of traffic is sure to be affected with special reference to the hospitality industry. With another brand new year, it’s time to empower your business making sound use of the advantages of local SEO services. It is time to invest in genuine efforts and energy to make the site better. It’s always advisable to have a home page to let the clients know what exactly the company deals in and have sound information to provide the customers with and assist them in their searches on every page. Optimization of Google My Business is a wise choice to increase online presence and improve business significantly. For sound optimization of the mobile app, one needs to ensure correct entry of the business location on the map. Double checking of the business name, phone numbers and the physical address of the business concern, adding information such as working hours, types of payment, etc, adding official website on local page of Google+ will help in optimization. Further encouraging reviews, using specific keywords, categories, and descriptions of the business are also positive steps in the same direction. There are various listing directories available for the purpose of listing businesses. Apart from listing the business on Google My Business, it is advisable for owners to list their businesses on other directories as well. These include Whitepages, Foursquare, Supermedia, Yelp, MojoPages, YellowPages.com, Manta, CitySearch, etc. With the revolution ushered in by the advent of Smartphones, tabs and other modern day gadgets, websites now need to be responsive. It has been found out that majority of the searches are done through Smartphones. Thus, with the growth and popularity of Smartphones, making the business website responsive to handle devices is a wise decision. When you have a responsive website, Local SEO strategies have a better impact on the businesses. Responsive websites are capable of improving the rate of clicks per hour and thus, deliberately lead to an increase in the reviews and rankings. There are various easy steps that can help in spelling success with Local SEO in 2015. Having relevant and useful content on the home page is most important. Content posted on the various pages of the website must be informative and genuine. Avoiding spamming keywords is important. The title tag should be prepared in such a way so that it summarizes the page. Inclusion of the city as well as the state in the title tag, URL, H1 Heading, content and on each and every alternate text on the images also lead to building effective SEO. Earning quality links is another option. Being aware of the latest trends and development in local SEO will help companies to project their growth faster. SEO has evolved considerably and that has, in turn, led to a renewed focus in the presentation of content in a number of ways palatable to search engines and humans alike. With the popularity of mobile internet, semantic search and social networks that influences indirectly, making people read content is getting tougher day by day. However, content still holds its reigning position and ultimately wears the crown. Thus, ensuring that the content is of high quality, presented well eventually helps in improving the local SEO optimization. Really SEO Plays an important role in the marketing of Business and you have explain it nicely in your post. I appreciate your hard-work.